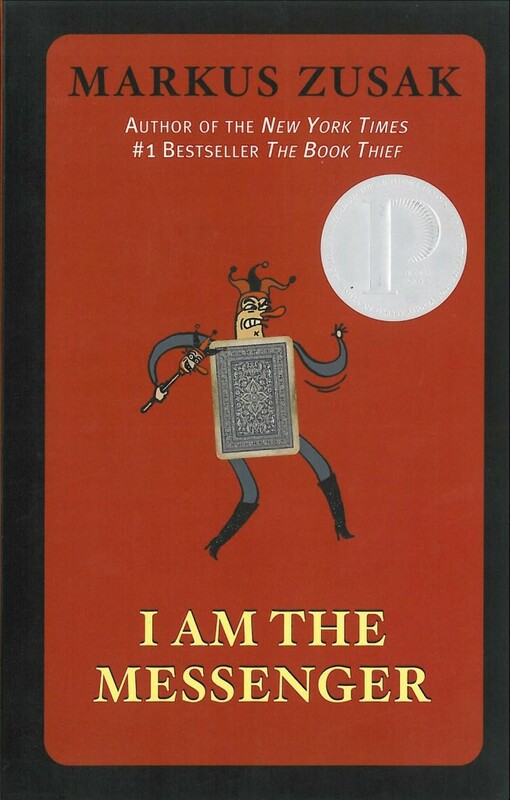 I Am The Messenger by Markus Zusak is about a cab driver named Ed Kennedy. Ed is a hopeless 19-year-old who is in love with his best friend, Audrey and he is crazy about his good-for-nothing dog, the Doorman. Ed’s life is one boring routine which consists of playing cards with his friends: Marv, Ritchie and Audrey; sleeping and eating in between cab-driving shifts. This story begins with a robber trying to steal money from a bank. Ironically, Ed saves the day by helping catch him. A few days later, he receives an Ace of diamonds card, in the mail. Everything changes after that. That’s when he becomes the messenger. Choosing to follow what the cards say, Ed makes his way through town, helping and hurting people, for the better. Until, after all, four aces have been completed and accomplished, Ed wants to know who is after this. I think Ed Kennedy, the underdog of his family, finally matures into a young, respectable adult. With the help of the four Aces, Ed realizes that he cannot be a cab-driver forever. He comes to terms with his screwed up family and finally understands why his mother behaves the way she does. Also, he first-hand witnesses how lonely people can get; what extents bullies can go to; how people sometimes feel unloved and how all of this can be fixed with a small gesture. After the ending, I visualize Ed to grow up and be a polite, kind, down-to-earth man. I believe he would live in a tiny yet cozy home in the suburbs of Australia with his beloved Audrey. Soon later, Audrey and Ed marry and have a family of one girl and one boy, as planned. I hope that Ed still meets up with his friends for a relaxing game of cards and he grows up to a hundred and looks back at that brilliant, unforgettable adventure. I’m glad you enjoyed this! I read it years ago and don’t remember much to be honest, maybe it’s time for a re-read. Great review! Thank you so much! Do read it again!